Your loved one can’t tell you what happened. Her dementia prevents her from accurately reporting how she got hurt. Yet, you know that she is injured and the evidence suggests that she was hurt because she was neglected or abused in her nursing home. Owed the resident a duty of care. This is easy to establish. The nursing home admittance contract creates a duty of care. Breached the duty of care. This element is more challenging to prove. You will need to convince the court or insurance company that the nursing home failed to act as a reasonable nursing home would in similar circumstances. Caused the resident’s injuries. In other words, the injury would not have happened but for the nursing home’s negligence. Additional information may be available and valuable in specific instances. Who Can Protect Your Loved One’s Rights? Since your loved one has dementia and is unable to make informed decisions, your loved one likely has a power of attorney. The agent named in the power of attorney document may be able to pursue a lawsuit for the benefit of your loved one. It is the agent’s job to protect your loved one’s legal rights, but any compensation gained through the lawsuit will be the property of your loved one or her estate. If you are named as the agent in a power of attorney document for someone who has been hurt by nursing home negligence in Kentucky, we encourage you to find out more about your options and legal obligations. 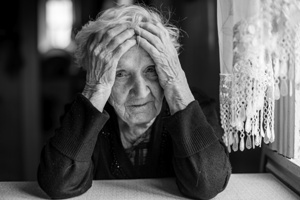 Contact us today via this website or by phone to schedule a free, confidential, no-obligation consultation and to learn how an experienced nursing home negligence law firm can help you and your loved one during this difficult time.